I am the proud father of 3 amazing children. Their influence and love has changed me to a kinder and more empathetic soul. I love to play music. 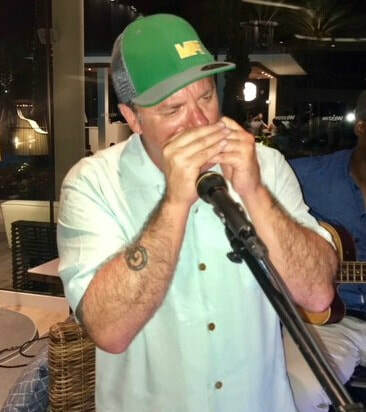 I play a mean harmonica and currently taking lessons for the guitar. Music and writing are my passions. I feel so much conflict in our world. It troubles me to listen and watch people express hatred for those who do not share similar views. I want to write stories that look at the controversial issues that create conflict in our lives and subtly suggest ways to overcome our struggles. I also want these stories to be very entertaining and the content to be as unpredictable as possible. This is a story about finding purpose and redemption. The Sword Swallower spends nearly 5 decades of his life on an adventure where he lives and experiences the oddest characters of our society. You will love the characters in this book. One day, while performing, he has a terrible accident that forces him to retire from swallowing swords. Throughout his life he struggled with methamphetamine and alcohol abuse. He moves to a tiny little town in California to semi-retire. He is diagnosed with throat cancer and that is when he meets Chico Kid. Chico Kid experiences his own adventures that tend to spiral his life into chaos. He is searching for purpose and a place in a community that has rejected him because of his past transgressions. He is getting drunk in a bar when he meets The Sword Swallower who is performing for the patrons. They make a connection and go on one last adventure as The Sword Swallower attempts to save Chico Kid’s life.